When I was a child all of my prayers sounded like “Gimme, Gimme.” I wanted a Jerry Mahoney puppet, to fly like Superman, and for my brothers and sisters to be adopted by other kindly parents and leave me and my mother and father alone. I got none of these things. These prayers were never answered. When I was my son’s age, I’d always begin with “Show me, Lord.” I wanted a sign. I wanted God to prove Himself or Herself or Itself to me. In this I was a typical youth, full of outrage and arrogance and bravado. . . . The proofs I prayed for never appeared. None of these prayers were ever answered. For years, twenty of them anyway . . . I’d pray, albeit infrequently, “Why me, God?” The more I drank, the more I prayed it. . . . I was carping daily . . . The silence out of heaven to these questions was real. . . Someone told me that I should just say “Thanks,” and that all my prayers should begin that way and never stray far from the notion that life was a gift to be grateful for. I began by giving thanks for my family, for the blessings to my household, the gifts of my children. Then the daylight and the nightfall and the weather. Then the kindness you could see in humankind, their foibles and their tender mercies. . . . I could be thankful even for this awful illness – cunning, baffling and powerful – that has taught me to weep and laugh out loud and better and for real. . . . The video is startling even for those familiar with the map of Israel. 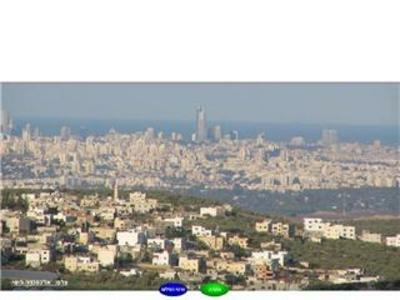 It is a 15 minute video, taken in real time, from inside a car traveling across the entire country -- from the West Bank town of Tulkharm to Netanya -- a 10 mile trip. The video has narration and maps periodically superimposed to orient the viewer. (Hat tips: Judith Weiss and Abe Greenwald). Barack Obama apparently has trouble with diplomatic code words. Former Ambassador Daniel Kurtzer, Obama's Middle East advisor, told the Israel Policy Forum that Obama did not realize that "undivided" was a diplomatic "code word," meaning "undivided," when the candidate delivered his prepared speech at AIPAC. In that speech, he declared -- in a paragraph beginning with the words "Let me be clear" -- that Jerusalem "must remain undivided." . . . .
At the Israel Policy Forum, Kurtzer said it was “unfortunate that so much time was being spent dwelling on one word of a 30-minute speech." But even more unfortunately, we now need to consider two other words Obama used in his speech, and ask whether he understood those "code words" as well. Nor is it for want of territory. The Palestinians were offered half of the Palestinian Mandate in 1948 but refused it; and Arabs controlled the West Bank and Gaza from 1948 to 1967, yet no Palestinian political entity arose in either place, not even provisionally. Now Palestinians completely control Gaza, but rather than building a state there, they claim that they are under Israeli occupation. The common explanation is that the Palestinians want a state encompassing the entire former Palestinian Mandate. But a more likely explanation is that the Palestinian national movement is not and has never been a national movement in the ordinary sense of the term. It was for a long time the vanguard of the Arab nationalist movement and is today the front line of aggressive Islamism. The establishment of a state is not the goal. See also “The Palestinians’ Historic Opportunity” (July 21, 2005) (“In any event, the only penalty for missing an ‘historic opportunity’ is always . . . another ‘historic opportunity’.”); and “Palestinians Miss Umpteenth Straight Opportunity” (December 1, 2006) (“They keep missing their ‘opportunity’ because it is not the opportunity they seek”). One of the things that I constantly think about is what it must have been like to those who worked in the State Department in 1945, 1946, 1947, 1948, 1949 and 1950. You think we have challenges. Well, you win the war, and then in 1946 the question isn't, "Is there going to be communism in Eastern Europe?" The question is, "Does it matter that 48 percent -- the communists just won 48 percent of the vote in Italy and 46 percent of the vote in France?" In 1947, 2 million Europeans are starving, and therefore you get the Marshall Plan. But in 1948, Harry Truman decides to recognize Israel, touching off conflict in the Middle East. . . .
What the Palestinians refer to as their nakba was the result of a war the Arabs started. Had they accepted the two-state solution in UN Resolution 181, there would not be a single refugee today, and the Arab state would have celebrated its sixtieth anniversary last month. Sixty years later, the principal “obstacle to peace” remains the Arab failure to acknowledge any moral or historical responsibility for the nabka they created (as well as responsibility for the 850,000 Jewish refugees they caused). In 1948 the State Department opposed recognizing the state of Israel. Sixty years later, one would not have thought an American Secretary of State would blame Harry Truman for “touching off conflict in the Middle East.” But some things never change. Gary Rosenblatt profiles Laura Bialis in the New York Jewish Week. When I spent the day with her here last week, Bialis, a warm, outgoing and upbeat woman, was just back from a month in New York, where “Refusenik,” her feature documentary about the Soviet Jewry movement, opened to glowing reviews. Rather than basking in the praise, though, she is hard at work on her latest project, trying to tell the story of Sderot, documenting “the trauma and also strength of this community, and how people use their art to survive.” . . .
“I wanted to show the story that isn’t being told” in the news, she explained, adding that she is “inspired” every day by those she is documenting. And now there is more to the story. . . The Israeli-Palestinian impasse, the sectarian conflict in Iraq, and the prospect of a nuclear Iran are serious problems that must be addressed; they cannot simply be "managed or endured." The alternative is to learn from the past: instead of seeing the Middle East through an ideological lens, the next administration must rely on agile and nuanced diplomacy and engagement based on hardheaded U.S. interests. Washington can accept the region for what it is and still work tirelessly in an attempt to craft lasting solutions to seemingly intractable problems. In reading articles by diplomats, it is useful to remove the colorful adjectives and adverbs – who could oppose “agile and nuanced” diplomacy, or engagement based on “hardheaded” U.S. interests, or working “tirelessly,” or crafting “lasting” solutions, especially when they can solve “seemingly intractable” problems? What’s not to like? Stripped of the nice-sounding but content-free adjectives, Kurtzer has come out for diplomacy based on U.S. interests to craft solutions to problems. Kurtzer rejects an “ideological lens,” but there is a pretty strong argument that it was only when Ronald Reagan substituted such a lens for Jimmy Carter’s lectures on our “inordinate fear of Communism” that the Cold War was won. I support withdrawing American forces as soon as possible, if possible within the context of a regional and international accord, but unilaterally if such an accord proves to be impossible to attain. . . . So what should be done as we decide to withdraw our forces from Iraq? First, the United States should convene a contact group of regional and extraregional parties to try to concert strategy. We would indicate at the outset our strategic decision to withdraw within a year, but allow for that strategy to be shaped by the views and advice of our friends. Next, Iran and Syria have to be part of that discussion, however distasteful that is to America. If we leave them out, they will only have an incentive to disrupt our withdrawal. If we invite them in - recognizing that they will be among the chief beneficiaries of our withdrawal - this may help moderate their appetites for mischief. [Emphasis added]. Boy, how agile and nuanced and hardheaded can you get? And what a lasting solution to a seemingly intractable problem! Kurtzer will be a leading figure working tirelessly in the next administration, if Jimmy Carter gets his second term. Patrick Clawson and Michael Eisenstadt of the Washington Institute for Near East Policy have produced a thought-provoking paper entitled “The Last Resort: Consequences of Preventive Military Action Against Iran.” It is worth downloading and reading in its entirety. Iran is extraordinarily vulnerable to attacks on its oil export infrastructure. Oil revenue provides at least three-fourths of government income and at least 80 percent of export revenues. Oil export facilities are extremely vulnerable; nearly all of Iran’s oil goes through a small number of pumping stations and loading points that are along the country’s Persian Gulf coast, readily accessible for attack from sea or air. If forced to cope without oil export revenues, Iran has sufficient foreign exchange reserves to get by for more than a year, but the political shock of losing the oil income could cause Iran to rethink its nuclear stance – in ways that attacks on its nuclear infrastructure might not. To be sure, in a tight world oil market, attacking Iran’s oil infrastructure carries an obvious risk of causing world oil prices to soar and hurting consumers in the United States and other oil-importing countries. That result, however, need not be the case if sufficient excess capacity existed in countries ready to increase output to compensate for the loss of Iran’s exports. Moreover, if the choice is between higher oil prices and a Middle East with several nuclear powers, higher oil prices and reduced economic growth are not clearly the greater evil. [T]here is one other thing which we must preserve. It is not strictly confined to issues of secure borders or territory but rather to a central factor in our national existence: Jerusalem! In your previous visit here, Mr. President, I presented you with a coin from the period of the Jewish revolt against the Romans. One side of the coin was inscribed with the words "Shekel of Israel," and the other side "Year Three [of Israel’s Independence]" and the words "Jerusalem the Holy." Mr. President, this coin was minted in 70 C.E. The Roman legions had already gripped Judea and were strangling Jerusalem. The city’s Jewish defenders knew that the end was near. They minted this coin not for commercial purposes but as a message for future generations -- as a message for us: that the Jewish People would return to its land and rebuild Jerusalem and its independence. This is the source of our identity and the thrust of our millennial yearnings. . . . In all the centuries of our exile and even with the advent of independence, we never forget for an instant the Western Wall, the Temple Mount and the Old City. Forty years ago, we liberated Jerusalem and reunited it. Our first act was to ensure the freedom of religion which had previously been denied. That religious freedom, which is so cherished by the citizens of the United States and so vital to world peace, will be preserved as long as Jerusalem remains united under Israeli sovereignty. . . . But to do so we must remain true to our principles: That freedom should be protected, that enterprise should be nurtured, that peace should be defended, that Jerusalem should remain united. The rebirth of Israel is one of history’s great parables. It is the story not of the Jews alone, but of a human spirit that refuses to succumb to history’s horrors. It is the incomparable quest of a people seeking, at the end of an unending march, to be a free people in its own land, the Land of Zion and Jerusalem. [Y]ou state that the “pro-Israel left” would (obviously?) be disappointed by an Obama “commitment to an ‘undivided’ Jerusalem.” I truly can’t understand why anyone, especially a Jew, would want to see Jerusalem divided and parts given over to the Arabs, as was the case from 1948 to 1967. Do left-wingers not understand that under Arab control, the most important Jewish cemetery in the world (Mount of Olives) was bulldozed and desecrated to build a Jordanian hotel? That the Arabs demolished 58 synagogues in Jerusalem’s Old City? That Jews were forbidden any access whatsoever to the Kotel (Western Wall)? I would think that all people of good conscience would automatically abhor such a situation and wouldn’t want to see it repeated. The first time was when Ehud Barak, in his negotiations with Arafat, offered more and more concessions to the Palestinians, including a pledge to divide Jerusalem. He was ready to give to Yasser Arafat everything he thought was important to Arafat: the Muslim Quarter, the Christian Quarter, and the Temple Mount, and special arrangements would be made for Jews to be bussed to the Western Wall. To Barak, these concessions were a price worth paying for a peace agreement. He even thought of a deal whereby everything on the surface of the Temple Mount would belong to the Palestinians and everything under the surface would belong to the Jews. It was as if he felt that our identity belonged only to an archaeological museum, not to our present and future. Barak explained his logic to me, hoping to convince me to stay in the government and even to go with him to Camp David. Natan, he said, if Arafat accepts this proposal, then however painful these concessions are, we will have peace and that is the most precious thing we wish for. But if Arafat refuses such a generous offer, he continued, the sympathies of all the world will be with us and no one will have any doubts as to the justice of our position and our struggle.
. . . There is no chance, I warned my prime minister, that your sacrificing our identity for the sake of peace will deliver peace from Camp David. 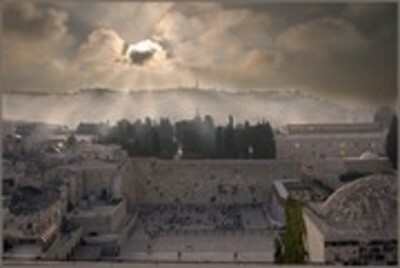 When we are demonstrating such extreme weakness and fear, wanting peace at any price, the response can only be war. . . .
[Minister of Justice Yossi Beilin] was explaining to me that if we gave the Moslem and Christian Quarters of Jerusalem to Arafat, there was a good chance we could have a deal with him. I objected, stating that this contradicted what Arafat himself was saying – that Arafat was demanding much more than this, not just the Muslim and Christian Quarters but also the Temple Mount and beyond. But I said to Beilin: Put aside the Moslem Quarter for a moment – why give to them the Christian Quarter and its holy places . . . . Does Arafat have more right to the Christian Quarter than we do? Will he protect freedom of worship for Christians better than Israel has? Every place that has come under the control of Arafat had quickly been Islamicized. In Bethlehem, for the first time in centuries, there were fewer Christians than Muslim. Beilin looked at me in sincere surprise. If he wants it, let him have it, he said. Why should we care about giving the Palestinians control of the Christian Quarter to obtain peace? I answered: Arafat knows why. If he controls the Christian Quarter, he controls the most sacred places in the world for one billion Christians, an influence he will use not for strengthening peace but against Israel. . . . Under Barak’s leadership, an absurd situation developed. For Arafat and his supporters, nothing was more important than Jerusalem. For Israeli leaders, Jerusalem became a bargaining chip . . . . True to form, despite all the concessions he was offered at Camp David, Arafat turned Barak down. . . . and despite Barak’s prediction, the world was just as hesitant to back Israel’s struggle as it had been before. Sharansky’s account of the second time he resigned is equally telling, but this post is already too long -- so buy the book. And read "Revisiting Obama's Speech to AIPAC." Over time, moreover, the pro-Israel sentiment in the United States has increased, especially among non-Jews. The years of the George W. Bush administration have seen support for Israel in U.S. public opinion reach the highest level ever, and it has remained there throughout Bush's two terms. The increase has occurred even as the demographic importance of Jews has diminished. In 1948, Jews constituted an estimated 3.8 percent of the U.S. population. . . . By 2007, Jews were only 1.8 percent of the population of the United States . . . In the United States, a pro-Israel foreign policy does not represent the triumph of a small lobby over the public will. It represents the power of public opinion to shape foreign policy in the face of concerns by foreign policy professionals. . . . [T]he ultimate sources of the United States' Middle East policy lie outside the Beltway and outside the Jewish community. In 1891 . . . Methodist lay leader William Blackstone presented a petition to President Benjamin Harrison calling on the United States to use its good offices to convene a congress of European powers so that they could induce the Ottoman Empire to turn Palestine over to the Jews. Theodor Herzl’s book “The Jewish State” did not appear until 1896. (See also: The NeoChristian Lobby).